Our general purpose car trailer ideally suits the person who wants a quality, economically priced, general purpose standard trailer. Our general purpose trailers are lightweight but strong, and are durable enough to take the knocks and abuse of day to day use. We build them with either single axle or tandem axle and they range in load capacity from 750kg up to 1500kg for the tandem axle range. 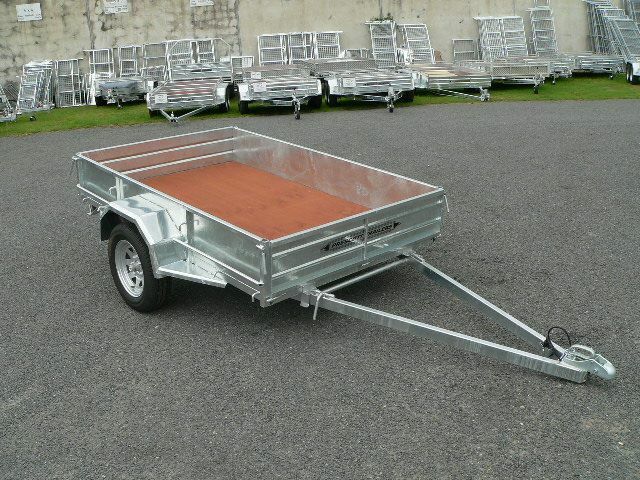 This car trailer has a plywood deck as standard, strong but light steel frame, sides and ends, strong braced mudguards, regulation lights and plenty of tie hooks. Sockets for fitting a stock crate or high sides are fitted as standard. 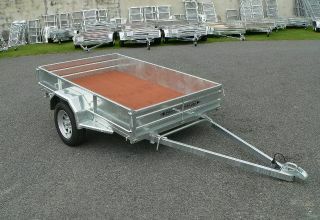 They are manufactured using only quality trailer components and are hot dip galvanised to last. 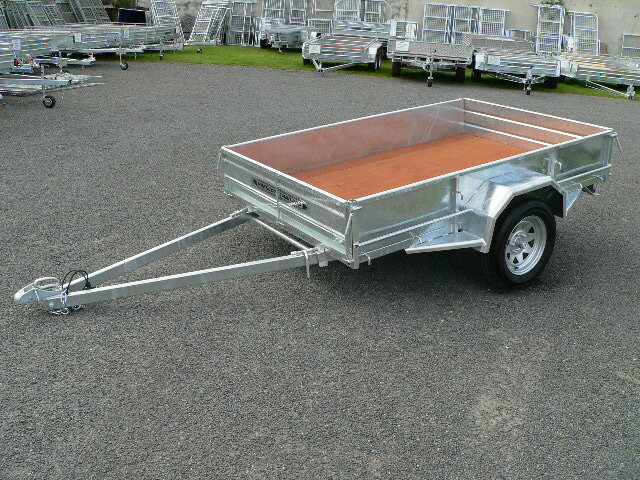 Single Axle Car Trailer 7'x 4'6"
Single Axle Car Trailer 8'x 4'6"
Our Tandem range are well balanced and have excellent tow-ability. These car trailers are designed for carrying a higher capacity load and if fitted with our optional crate, will ideally handle loads with large bulk.